3 Bedroom House To Rent in Burton-on-Trent for £775 per Calendar Month. 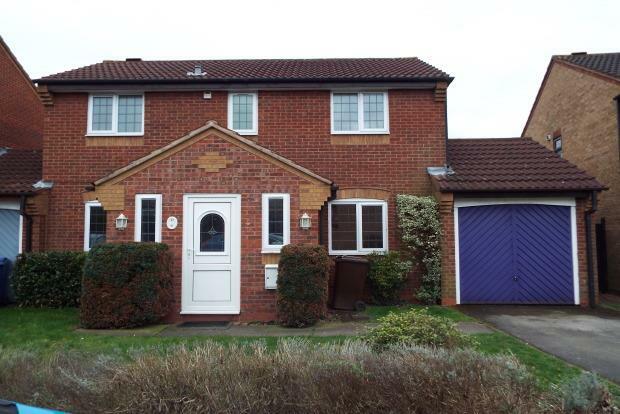 The property comprises welcoming entrance hall with guest cloakroom, lounge, dining room and conservatory off. The property has a tiled floor throughout the ground floor reception rooms. To the first floor there are three bedrooms, two doubles and one single, one of the bedrooms benefits from fitted wardrobes. Along the hallway is a family bathroom including bath with shower tap, sink and WC. To the front of the property there is a driveway and a single garage and to the rear of the property an easy to maintain garden with patio area. Call Frank Innes today on 01283 512661 to view!